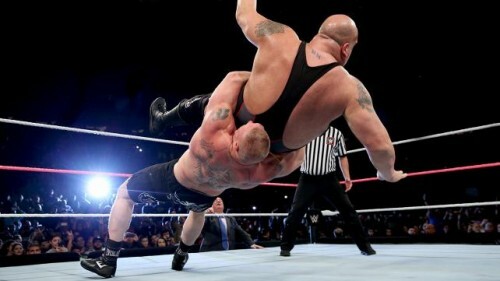 After only 6 months, WWE returned with a show that was much heavier on star power. Limitless Wrestling Returns this Saturday for “Past Your Bedtime!” Featuring WWE CWC’s Lince Dorado, Mike Bennett, AR Fox, ROH’s Veda Scott, Chuck Taylor & Many More! 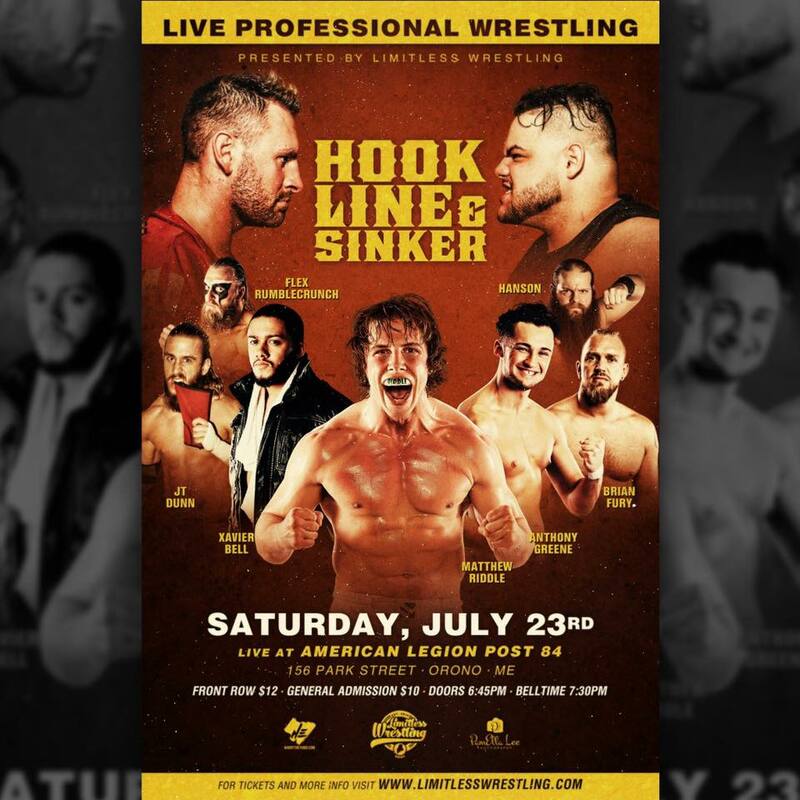 RECAP: Limitless Wrestling’s “Hook, Line, & Sinker” 7/23, PLUS TIX & Sneak Peek of “Past Your Bedtime” 9/24! Limitless Wrestling Returns for Hook, Line, & Sinker TOMORROW NIGHT! Featuring Former UFC Fighter Matthew Riddle, ROH’s Donovan Dijak, JT Dunn, Brian Fury, “WarBeard” Hanson & Many More! GET TIX! 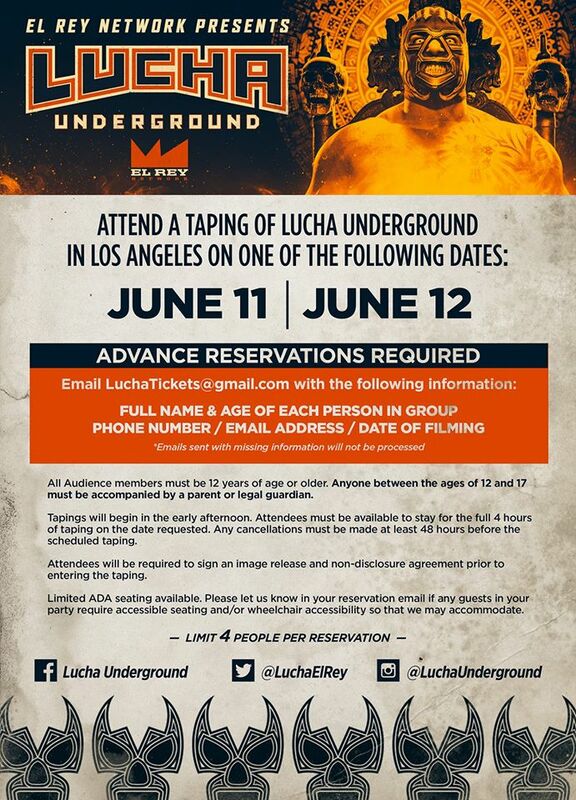 More Lucha Underground Tapings Announced for 6/11 & 6/12! 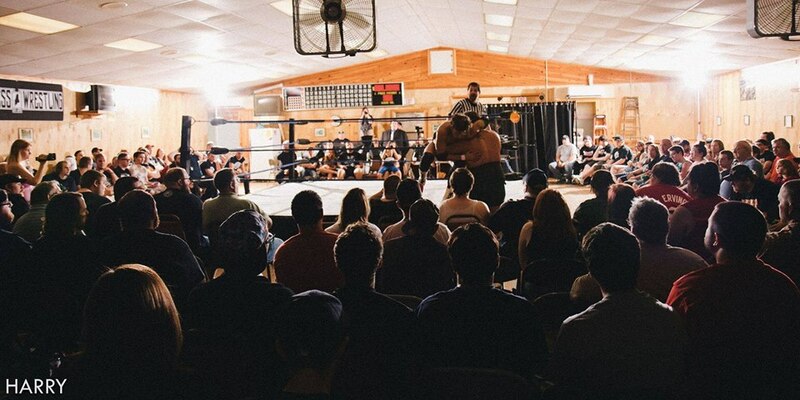 Limitless Wrestling Returns for “No Dropkicks in the Living Room” TOMORROW NIGHT! Featuring Jeff Cobb, Tommaso Ciampa, “WarBeard” Hanson, JT Dunn & Many More! GET TICKETS! 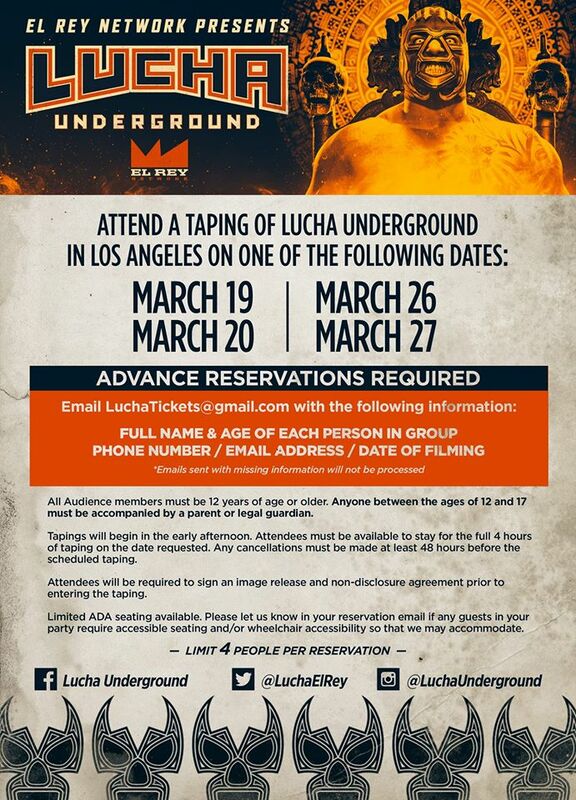 Lucha Underground Taping Dates Announced! Act fast, Believers! 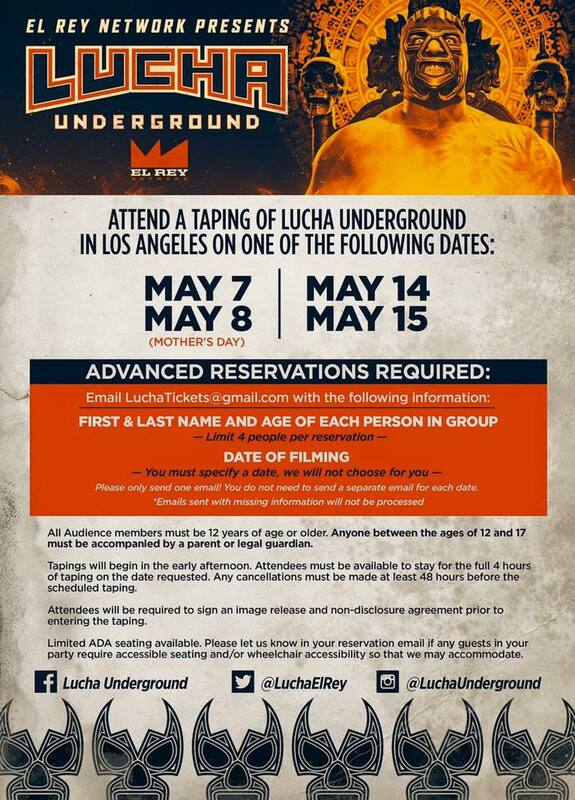 More taping dates have been announced for Lucha Underground! They happen next month, from May 7-8 to May 14-15. One taping even falls on Mother’s Day! GET TICKETS! 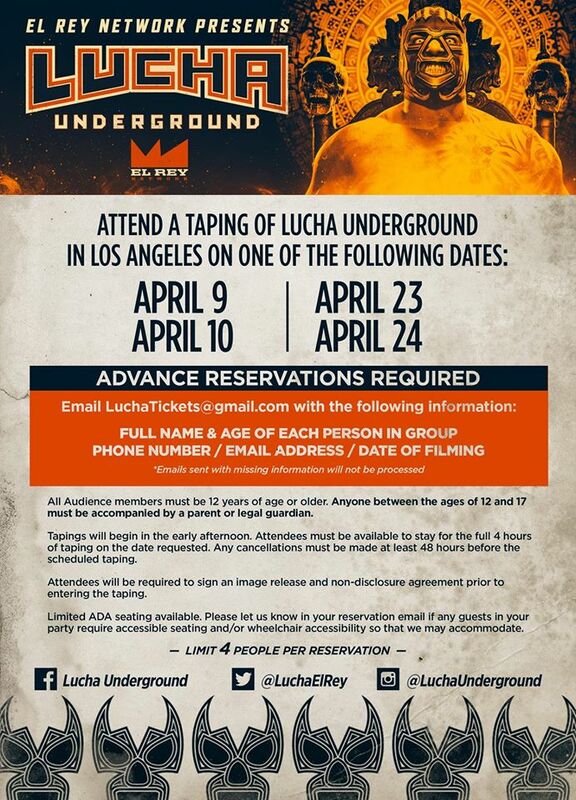 Lucha Underground’s April Tapings Dates! Lucha Underground Austin Warfare at SXSW: Watch Aero Star’s Injury-Threatening Leap from the Stars! 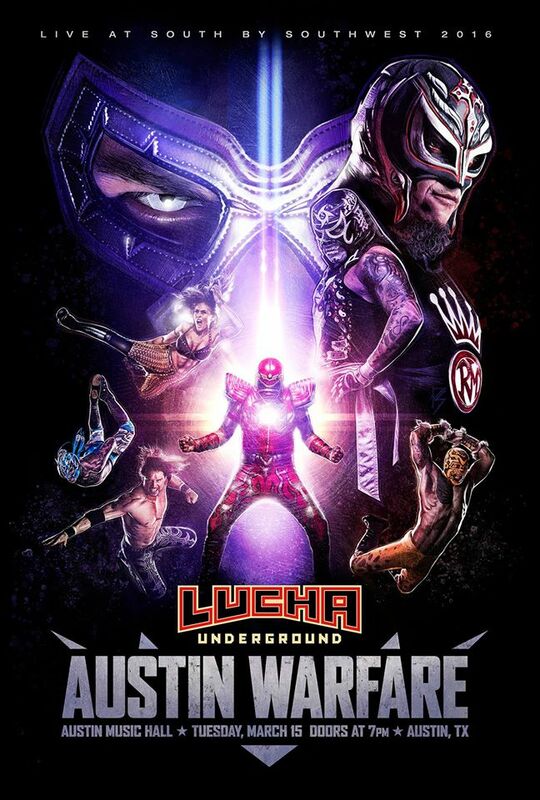 Lucha Underground Austin Warfare is Tonight at SXSW! New Lucha Underground Tapings Announced! RSVP NOW! 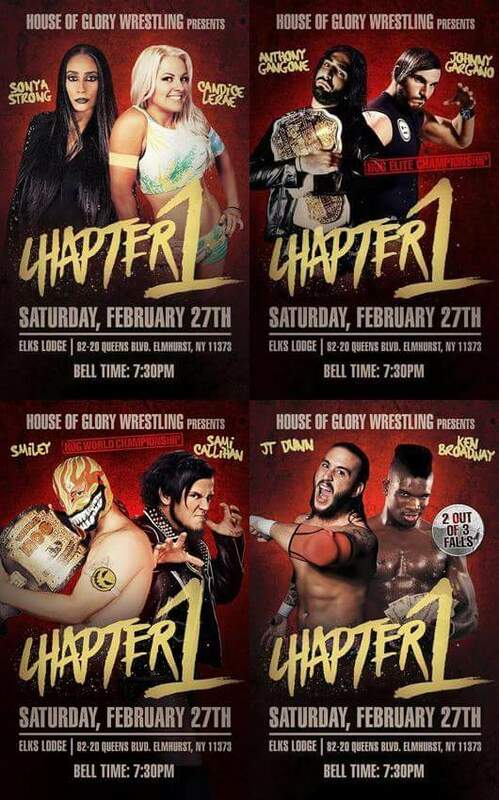 House of Glory Wrestling’s “Chapter 1” to Go Down Tonight! 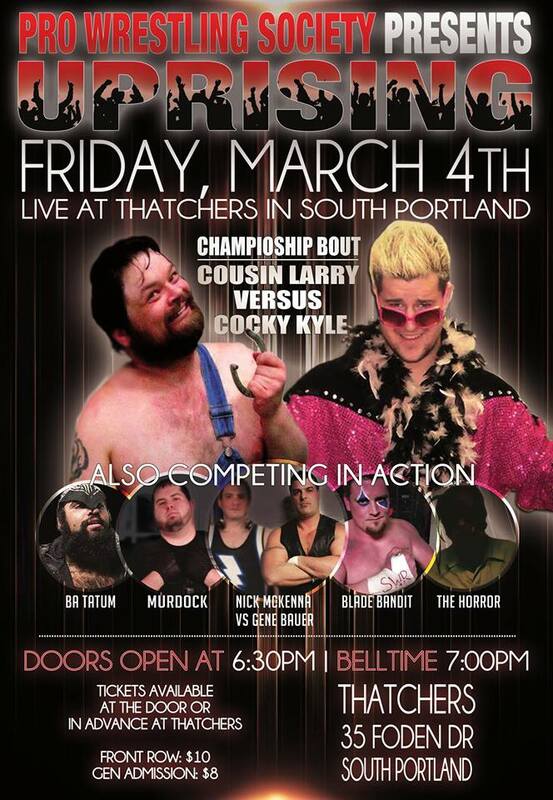 Pro Wrestling Society Returns in PWS: Uprising on March 4 in South Portland, ME! 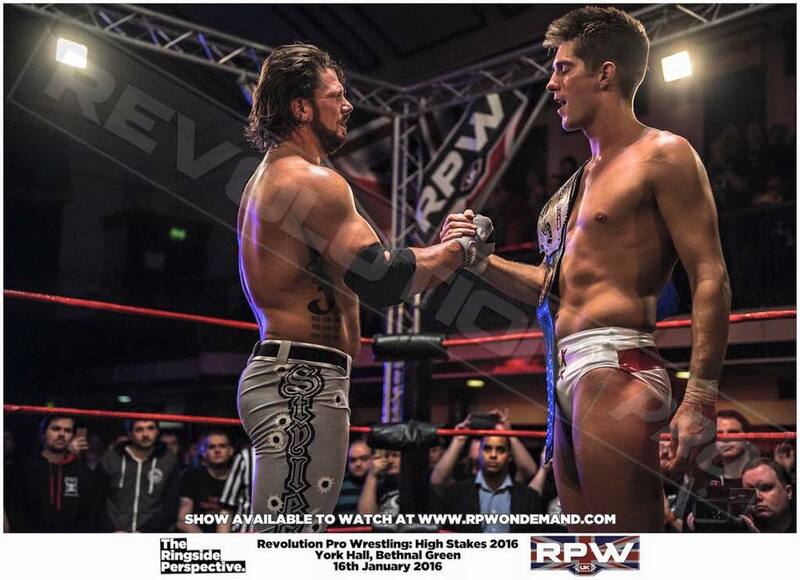 Limitless Wrestling’s “Under Fire” to go down tonight! Last batch of the season!